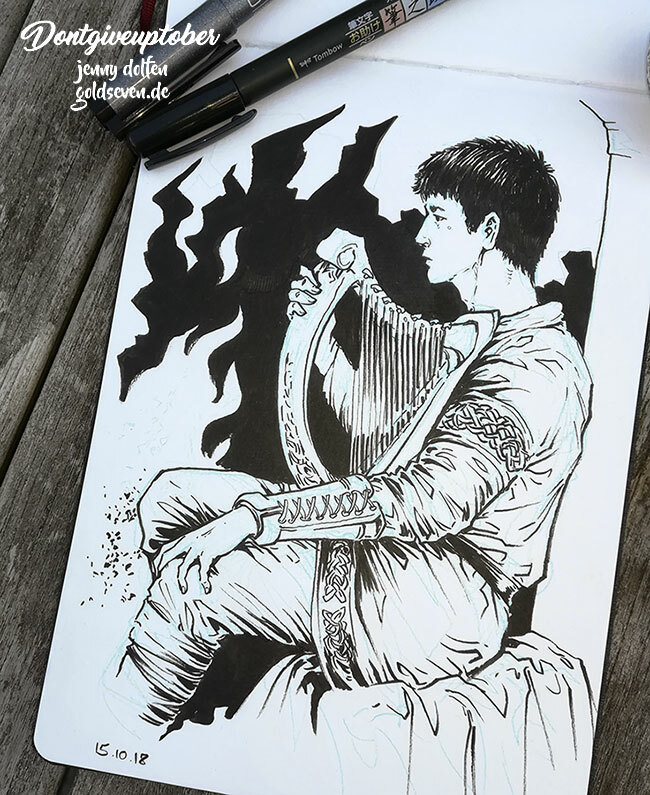 Aedan started life as an RPG character of mine, Aidan Cameron, and acquired a bunch of backstory early on, which became the first draft of the novel working-titled “The Rhyddion Chronicles”; back then, “The Hour of the Wolf”. It had always been a story loosely modelled on the Welsh Wars that ended with the death of Llywelyn the Last in 1282. The first draft was full of werewolves, goblins, strange pantheons and magic; in 2008, I scrapped most of those and made the setting more clearly medieval, with a Catholic church as one of the players. It gained momentum once again in 2012, when I decided to make Aedan a bard (and change his name to Aedan in the first place), wrote a prologue that still makes me giddy when I read it – and then it went nowhere, and was left lying.